We all remember well the classic cars from the sixties that had narrow whitewalls, as auto manufacturers began decreasing the width of the whitewall in the late 1950s and early '60s. Since then, narrow whitewall tires have been very popular. 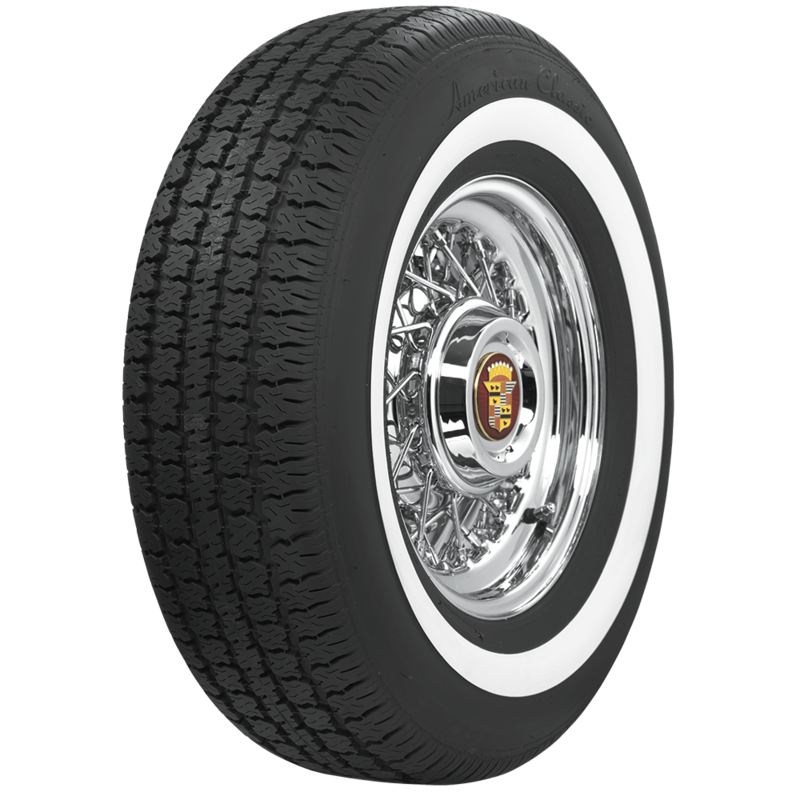 Coker Tire Company offers these American Classic radial tires with a great selection of sizes and narrower whitewall widths. 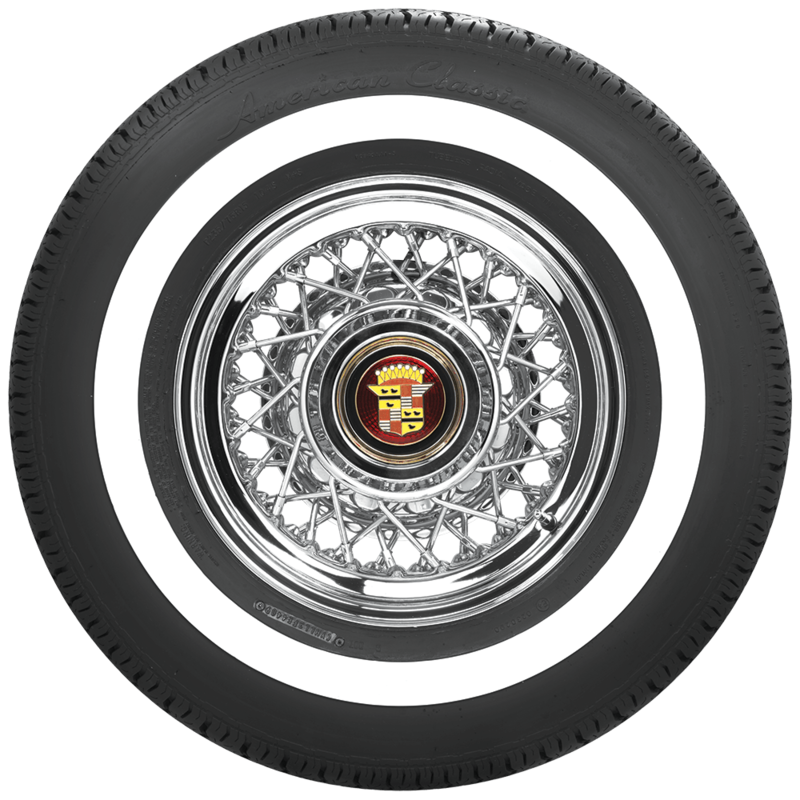 Sizes to fit 14- and 15-inch wheels, these tires offer the right look for your classic car, thanks to the tall sidewall and tread pattern. Sizing is perfect for American full size cars, such as Impala, Galaxie and other makes and models, such as Cadillac and Lincoln. 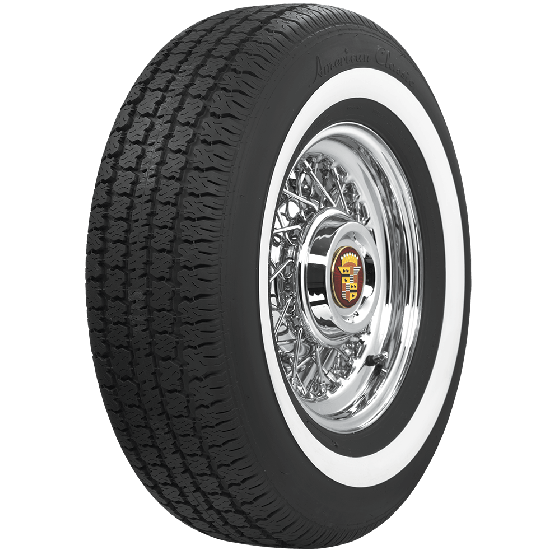 The whitewall is built into the mold from the very first step, so it is a genuine whitewall tire that will hold up well over time. American Classic tires are made in the USA and they are DOT and ECE (European Community) approved and covered by Coker Tire Company's Life of the Tread warranty. Please note that dimensions listed (tread width, section width and overall diameter) are non-scientific and based on an inflated tire, mounted to a wheel. Dimensions may vary due to rim width and inflation pressure. How cost for 4 tires delivery at my adress in Canada? The 225/60R16 size is available in whitewall from the BF Goodrich brand here: BF Goodrich 225/60R16. I want to put the american classic 235 75R 14 tires on my 1966 impala - 4DR hardtop -396, will these fit? current tire is a 215 75R 14. Those tires being 2 sizes larger than what you have now may cause clearance issues and we would not be able to recommend them.